When major disasters hit, the first priority is to keep people safe. This process can involve dramatic evacuations, rescues and searches. However, after the initial emergency passes, a much longer process of recovering and rebuilding begins. For individuals, families and communities, this can last months or even years. This work often begins at the same time as the national media starts packing up and public attention shifts to the next major news story. At the University of Missouri's Disaster and Community Crisis Center, we study disaster recovery, rebuilding and resilience. Much of our research shows that natural disasters can have a meaningful impact on survivors' mental and behavioral health. These issues typically emerge as people try to recover and move forward after the devastation. Immediately after a natural disaster, it's normal to experience fear, anxiety, sadness or shock. However, if these symptoms continue for weeks to months following the event, they may indicate a more serious psychological issue. The disaster mental health problem most commonly studied by psychologists and psychiatrists is post-traumatic stress disorder, which can occur after frightening events that threaten one's own life and the lives for family and friends. Following a disaster, people might lose their jobs or be displaced from their homes. This can contribute to depression, particularly as survivors attempt to cope with loss related to the disaster. It's not easy to lose sentimental possessions or face economic uncertainties. People facing these challenges can feel hopeless or in despair. Substance use can increase following disasters, but usually only for individuals who already used tobacco, alcohol or drugs before the disaster. In a study of Hurricane Katrina survivors who had been displaced to Houston, Texas, approximately one-third reported increasing their tobacco, alcohol and marijuana use after the storm. There's also evidence that domestic violence increases in communities experiencing a disaster. After Hurricane Katrina, another study found that, among women in Mississippi who were displaced from their homes, domestic violence rates increased dramatically. Perpetrators may feel a loss of control following the disaster and turn to abusive behavior to try to gain that control back in their personal relationships. While many disaster survivors show resilience, studies have shown mental and behavioral health issues cropping up weeks, months and even years after a disaster. Rebuilding can be a long process, with a series of ups and downs. Survivors may bounce back after a few months, or they may experience ongoing stressors, such as financial issues or problems finding permanent housing. Disaster anniversaries or other reminders - like a heavy rainstorm months after a hurricane - may also trigger reactions. In addition, early disaster recovery efforts often focus on physical reconstruction. Psychological recovery may end up on the back burner. Individuals and organizations working to help disaster survivors need to remember that disasters can affect many aspects of survivors' lives. As a result, several different community systems need to be working together as part of recovery efforts. 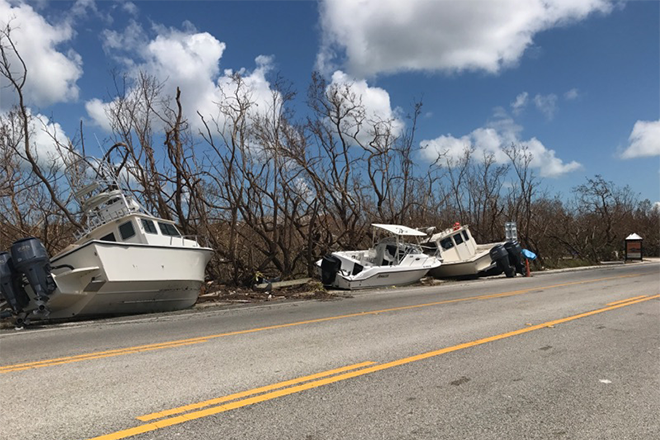 Researchers sometimes call the multi-agency disaster response and recovery network that is needed to help individuals cope with a disaster a "system of care." A disaster system of care will include disaster groups like FEMA and Red Cross. It should also involve agencies representing public health, mental health, schools, local government, social services, local businesses and workforce development, faith-based organizations and local media. For example, combating domestic violence after a disaster will require collaboration among disaster organizations, domestic violence groups, law enforcement, local media and more. Resources intended to help women and families experiencing domestic violence - such as legal aid or transportation assistance - should be included in disaster response programs. Communities should also help disaster survivors get reconnected: to their friends and family, to new people in the community and to the place they may be temporarily staying while displaced. Social capital and support may be the most important resources for individuals coping with disasters. Community events, such as neighborhood dinners, might help foster connections. Social media platforms can help bring together neighbors who are displaced and waiting to return home. Finally, a variety of mental health interventions - such as psychological first aid, crisis counseling and cognitive behavioral therapy - can help those who have experienced a disaster. These programs can be delivered through many community systems, including mental health agencies, schools and more. If you're in the U.S. and seeking help, a free Disaster Distress Helpline is available for disaster survivors. This is an updated version of an article originally published on Sept. 11, 2017.